How Is Student Debt Affecting Real Estate Trends? 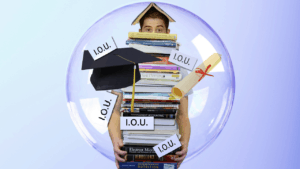 | Fournier Law Firm, Ltd.
How Is Student Debt Affecting Real Estate Trends? This may not seem like an issue that older generations would be worried about. Their student loans have long been paid off, they may have even helped finance their children’s college education, leaving them debt free from college loans. However, as the article points out, this mounting debt is a factor in some negative economic trends that affect many, even older generations. Because the generation of millennials will be dedicating funds to pay their student loans off, with salaries that have not rebounded from the 2008 recession, their focus will not be on purchasing a home. They are struggling to set money aside for a down payment. Missed loan payments for student loans can affect credit scores, making mortgages harder to come by. As baby boomers look to downsize homes in retirement, it might be difficult to find buyer from the next generation who can afford to purchase it.